Articles BREAKING : Popular Actor & Politician J.K Ritheesh Dead ?? SHOCKING !! BREAKING : Popular Actor & Politician J.K Ritheesh Dead ?? SHOCKING !! J.K Ritheesh who is a former Member Of Parliament and actor died today due to cardiac attack at Ramanathapuram. He was last seen in R.J balaji’s debut movie L.K.G where he gave a top notch performance. He was just 46 years old when he died. Entire Cinema industry and Political industry in deep sorrow due to the news. J. K. Rithesh was an Indian actor and All India Anna Dravida Munnetra Kazhagam Member. He was a Dravida Munnetra Kazhagam Member of Parliament in the 15th Lok Sabha from Ramanathpuram constituency. In the Indian general elections of 2009, Rithesh received 294,945 votes to defeat his closest rival, Satiyamoorthy of All India Anna Dravida Munnetra Kazhagam (AIADMK) party by a margin of 69,215 votes. On 10 April 2014, he joined AIADMK as a primary member. Rithesh was born in Kandy, Sri Lanka in 1973 before migrating to Rameswaram in 1976, where he was brought up. His father was employed in the agricultural sector and his mother is a housewife. Rithesh has two elder sisters, Shanthi and Mani. Rithesh married Jotheeswari in 2007 and has a son, Arik Roshan. He completed Diploma in Civil Engineering at Mohamed Sathak Polytechnic College Kilakarai, Ramanathapuram district. He was arrested in November 2011 in a land grabbing case. He was booked in charges of cheating a US citizen of Indian origin for promising him buying a land. His LKG co-star RJ Balaji posted a heart breaking message in his twitter account after knowing the ace actor’s departure. He also added another tweet saying that the actor not even got a single rupee to act in LKG. His first film was Kaanal Neer, directed by Chinni Jayanth. 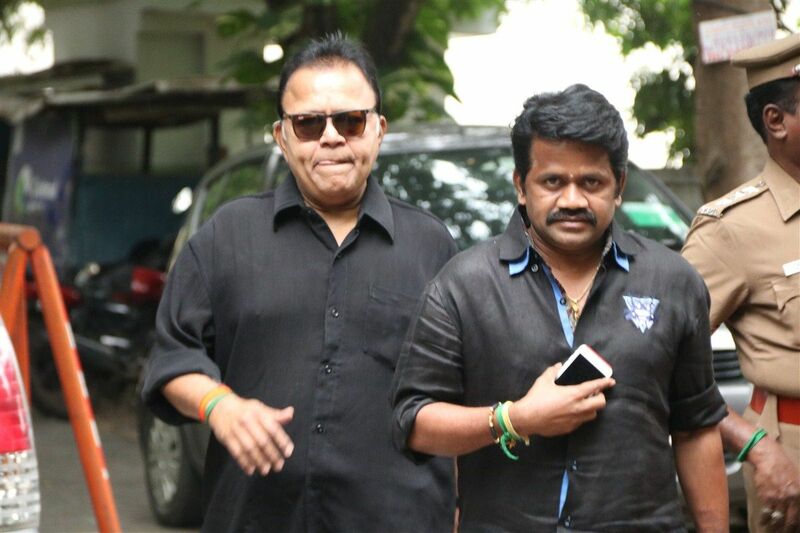 Rithesh had helped produce the project but the film failed to become a success at the box-office. His second film, Nayagan took an average opening at the box-office. After the moderate performance of Nayagan, the actor announced several projects and started work on films including Thillu Mullu alongside another debutant Siddique, a film with Chinni Jayanth, Deivamagan and his home production, Thalapathy. Previous article“He Did The Same In Australia” This Famous Music Director Supports Dhoni !! Next articleThis Single Reply From A Sikh Against BJP Goes Viral !! Received More Likes Than BJP’s Tweet ! !